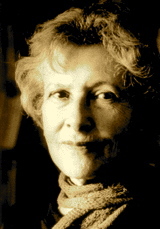 A Year of Being Here: Denise Levertov: "February Evening in New York"
Limping along?—I'd still ... " Out of hearing. of open time at winter's outskirts. 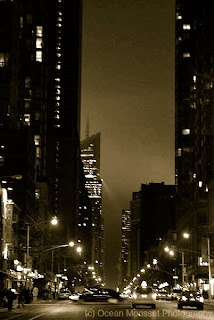 "February Evening in New York" by Denise Levertov, from Collected Earlier Poems 1940-1960. © New Directions Publishing Corporation, 1979. 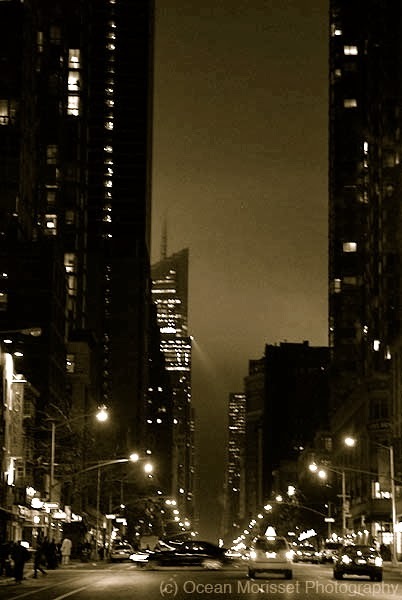 Photography credit: "Night Street, NYC," by Ocean Morisset Photography (originally black and white).